Register now to secure your spot in this Midwest course, which is convenient to the Twin Cities and Western Wisconsin. You will learn about sustainable food production, renewable energy, water harvesting, natural building, earthworks, animal husbandry and more, all geared to give you the skills to practice Permaculture on any scale, from a city lot, to suburban yard to country homestead. Take this rewarding and challenging internationally recognized course to deepen your understanding and appreciation for the environment and sustainability; forge a path to a career in sustainable food production; or to prepare for a post-carbon world. 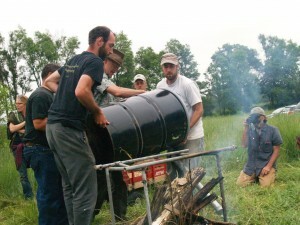 Graduates earn their Permaculture Design Certificate at the course’s conclusion. This comprehensive, holistic training is presented by Wayne Weiseman, director of The Permaculture Project and certified by movement founder Bill Mollison. Additional guest instructors to be announced soon. The class is limited so don’t wait. Spouses and domestic partners get in half price. Limited work-study scholarships available if you act soon.